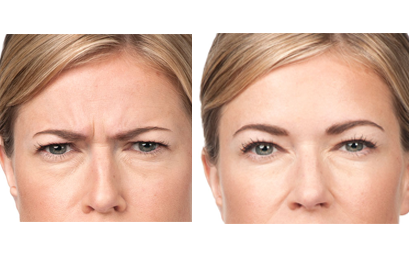 Botox® is an isolated and purified medical grade of Botulinum Toxin. It works by relaxing facial muscles and smoothing wrinkles. Although popular for its role in facial rejuvenation, Botox® can also be used to treat axillary hyperhidrosis, or excessive sweating from the armpits. Smoothing wrinkles: Botox® is injected into specific areas of the face where it relaxes the muscles that cause wrinkles. Axillary hyperhidrosis: Botox® is injected into points around the armpit and the protein in the injection prevents the glands from producing sweat. 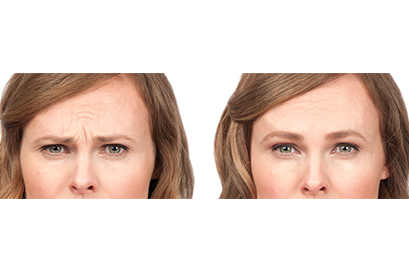 Botox® is ideal for treating wrinkles around the brow and forehead areas. 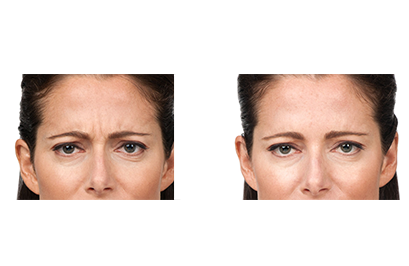 It is particularly effective in treating the glabella (vertical lines between the eyebrows), crow’s feet (wrinkles at the outer corners of the yes) and horizontal forehead lines.